The great reformer of the 16th Century, Martin Luther reminds of the everlasting truth provided in Scripture: “The Word of the Lord endures forever” (1 Pet. 1:25), a phrase that became a symbol and theme for confessing churches of the Reformation. 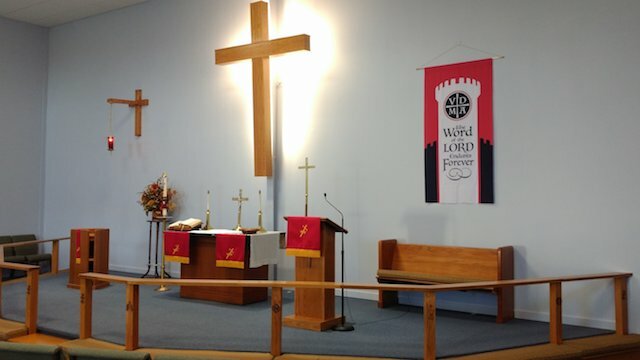 A new sanctuary banner at Praise Lutheran Church in Maryville shows the letters “VDMA” (the Latin acronym of the phrase) in a cross formation, along with the English words spelled out in full. “God’s truth still calls all people to know with certain peace that God sent Jesus to save, instead of man (all of mankind) having to satisfy for his or her own sins and failures,” says Rev. Derek Roberts, pastor at Praise Lutheran Church in Maryville. 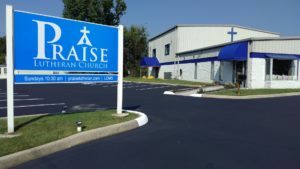 The public is invited to celebrate the 500th anniversary of the Reformation at Praise Lutheran Church (LCMS) with a Festival Divine Service (think lots of red, lots of choir accompaniment to the liturgy, organ and brass fanfare, along with Christ-centered preaching and rejoicing) on Sunday, October 29 at 10:30 a.m. For more information, call (865) 977-5810 or visit praiselutheran.com.